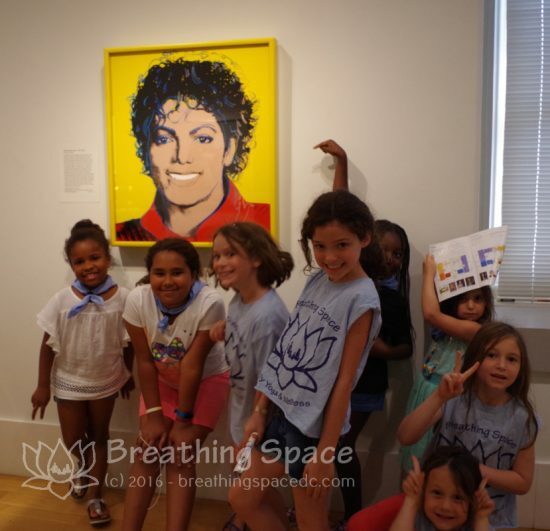 What happens at kids yoga camp? Camp schedule varies depending on activities of the day. Most field trips will be Tuesday-Friday. Occasionally we will need to depart for a trip by 9 or 9:30 am and be gone through lunch, meaning our main yoga class those days will happen in the afternoon. 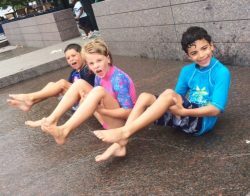 Water play days – typically Yards Park or Canal Park, but sometimes we head out to Kennedy Rec Center or other city spray parks – mean an extended outdoor/lunch time and a shorter, very low key afternoon yoga time. Camp schedule varies depending on activities of the day and if we have a field trip scheduled. For camps that enroll PK, we may separate younger and older campers for some activities and outings. School Year Camp Schedule Variations: Field trip outings during the school year are most common in the afternoons and on bad weather days. 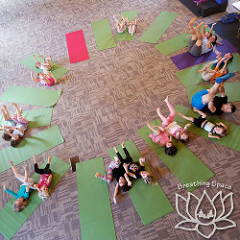 Summer or Spring Break Schedule Variations: Occasionally we will need to depart for a camp trip by 9 or 9:30 am and be gone through lunch, meaning our main yoga class those days will happen in the afternoon. 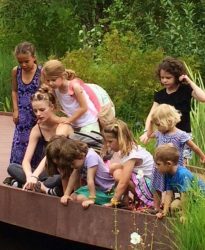 Water play days – typically Yards Park or Canal Park – mean an extended outdoor/lunch time and a shorter, very low key afternoon yoga time. Camp locations vary. 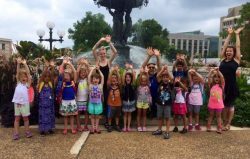 Most of our SY 2017/18 camps are at Christ Church, but a few are at Capitol Hill Presbyterian Church or St. Marks Church, so read registration notes carefully. Most Summer 2018 camps are at Christ Church. See our locations page for notes. gone on an Anacostia river boat tour with RiverKeeper! We take metrobus, metrorail, and our feet to these destinations. Campers should be prepared for a decent amount of walking and for carrying their backpack/lunch wherever we go. Where does camp go for playground time and water play? We plan to do outdoor time and/or eat lunch off site nearly every day. 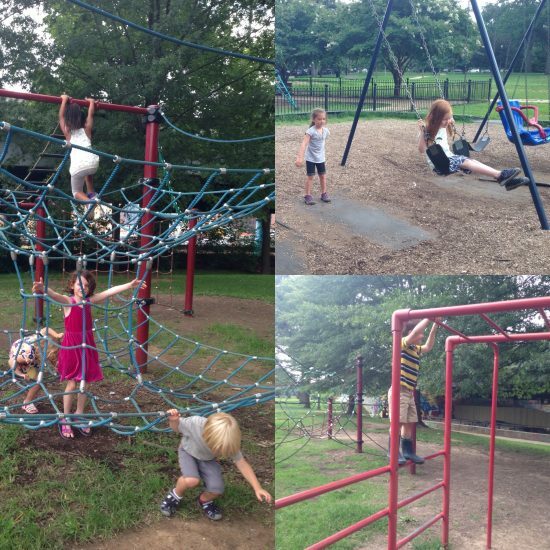 Our favorite playgrounds are Peabody, Brent, Watkins and Tyler Elementary schools and Marion and Garfield Parks (All walking excursions). We have visited both Canal Park and Yards Park for water play (The Circulator bus takes us there from 8th Street). What time does camp start? How early can I drop off my child? Drop-off can begin at 8:30 am, though we are unlikely to begin any structured programming until after 9 am. Please don’t drop off early. Our staff really do need the time between 8-8:30 am to prep for the day. Unless we have a field trip scheduled and have notified you in advance, we’ll be at the camp location through mid-morning. Activities usually begin by 9:30 am, so campers arriving after that may miss something. What are camp hours? When is drop/off pickup? Can I pick up my camper early or drop-off late? Please let us know in advance when you have a camp conflict so we can flag any challenges this may pose on a particular day. Camp schedule is somewhat fluid and we are usually out of the church for at least part of every camp day, so pick-up for and drop-off after doctor’s appointments or other conflicts may mean meeting us at an outing destination. Please check confirm with your camp director on the morning of camp. Please note that yoga camp does not allow for regular half-day pickup and is not appropriate for campers not up for significant walking and activity during the day. 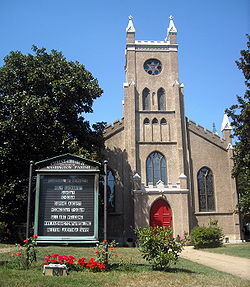 All our outing destinations are reached by public transportation and/or walking. What happens if I’m late to pickup? Our camp venues have evening programing most nights of the week. Additionally, camp counselors often have their own evening commitments. Please help us be good community members and avoid staff and camper distress by picking up on time. Campers picked up after the designated pickup time (4 pm or 5:45 pm) will be charged a flat $15 late fee (per child). Parents will be expected to pay on pickup. Campers picked up more than 15 minutes late (4:15 or 6 pm) will be charged a flat $50 late fee (per child). Parents will be expected to pay on pickup. If you think you might be late to pickup, please call. Campers should wear clothing for movement – shorts under skirts please! – and layers appropriate for the weather. 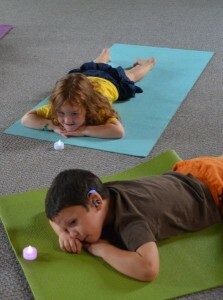 Camp is very active and your camper may be warm during our yoga classes. Your camper should also have walking and playground appropriate shoes – No flip-flops, no open-healed crocs or clogs, no ballet flats. If your camper arrives in in inappropriate shoes, you may be asked to bring an alternative pair before lunch. Your camper needs weather-appropriate outer wear. Unless weather is dangerously terrible, we are going outside. In winter, that means hats, gloves, coats, long pants (yes, we’ve had campers show up with bare legs mid-winter), rain gear etc. If they are inappropriately dressed, they are going to be cold and/or wet. All PK4 campers need a change of underwear, pants and socks! Even if you think they are completely reliable about their bathroom needs, accidents happen. We find campers caught up in the fun of camp don’t want to stop and go to the bathroom. 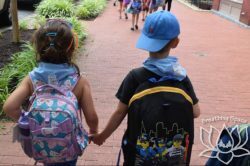 Even with regular reminders, PK4 campers (and sometimes older ones) tend to overestimate how long they can wait, especially when we are out on the playground and bathrooms are not convenient. A backpack in which your camper can comfortably carry their own lunch, water bottle and towel (for waterplay days). A change of underwear, pants, and socks. 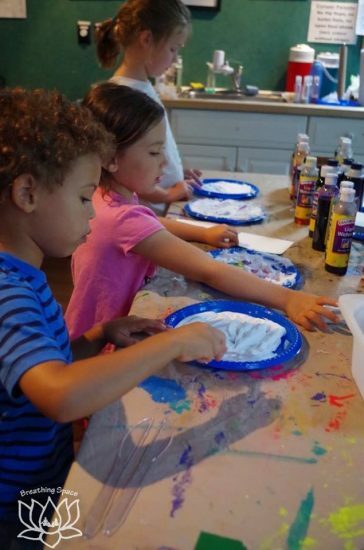 Even typically reliable children can have bathroom accidents when they get distracted and don’t want to stop playing to visit the restroom and PK/K campers have a tendency to have non-bathroom messy accidents as well, for which a change is helpful. What is your camper:counselor ratio? We know that some camps have dozens to a hundred campers in a week.We consciously create a small, intimate camp experience, hopefully allowing campers to let their guard down and truly relax. We have 14-18 children in most camps. Some camps are dual class and we break into two age-based groups of about that size. For that level of enrollment, we hire two lead teachers and an assistant. At least one of the lead teachers is a certified yoga instructor specializing in children. 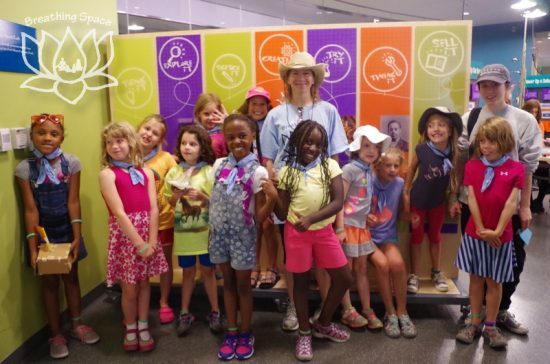 Do you enroll 4-year-olds or younger siblings in camp? Age requirements vary by camp and by season. During the school year, grade designations are the grade in which your camper is currently enrolled. During summer, grade designation is the grade in which they will enroll that fall. We have limited space available for 4 year old (PK4) campers. We love 4 year olds, but they have different needs and abilities than 8 year olds in yoga class or arts and crafts and they require more attention and assistance for things like bathroom visits, managing shoes, following directions, staying with the group on outings, keeping track of and carrying their belongings, etc. Overall, our day camps are small – 16-20 kids. When we enroll just a few 4 year olds, we find everyone has fun. The older campers and staff are able to help the little ones keep up during activities and outings while still doing the activities that the older campers enjoy. When we enroll lots of 4 year olds, it completely changes the camp dynamic. That’s why we limited the number of 4 year olds – same camp, separate roster – during single-class camps during the school year. Please note we do not have a dedicated rest time scheduled during school-day-off camps, so yoga camp is best for non-nappers. Our school year camps are most appropriate for younger siblings (used to tagging along with older kids and being helped by them) or PK campers with Breathing Space experience (so know our routine and we know them). We also offer a few camps that will be noted as double-class camps when we enroll a full class of PK/K and 1st-4th grade. During those weeks, we will do some activities as a big group, but also lots in our smaller groups. PK/K campers will be offered rest or quiet time activities in the afternoons while 1st-4th campers will do longer outings and themed activities in the afternoons. PK4 campers should have a year of full-time schooling under their belt and be reliably potty trained and bathroom independent. Campers must have the stamina to walk to public transportations and outing destinations while carrying their own backpack/lunch. Our camp is not appropriate for students unable to follow basic safety instructions or with a strong tendency to run away from the group or leave a designated area without permission. Please respect our age minimum. 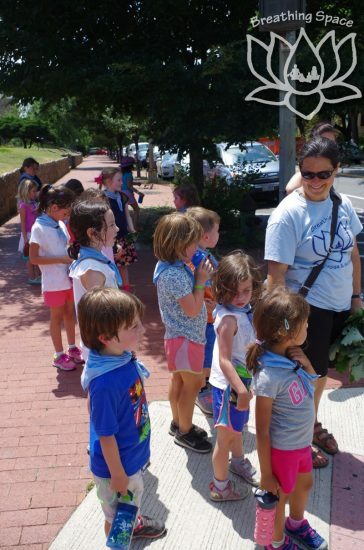 We recognize that it is challenging to find an enriching camp experience for preschoolers, but need to be sure we are offering a quality experience for all our campers. The needs of a 3-year-old – attention-span, interests, verbal abilities, physical coordination, stamina – are very different for that of a 7-, 8-, or 9-year-old. A 3-year-old needs more assistance with nearly all tasks and is unlikely to be able to do – or be interested in – the same craft projects as older campers, pay attention to the same stories, or follow the same game rules . . . . Our only exception is 3-year-old younger siblings and we require pre-approval before enrollment. Thank you. Younger Siblings: We do take a very limited number of younger siblings, one year younger than the stated age range, so PK4 for camps marked K+ or PK3 for camps marked PK4+. Pre-approval is required. Contact us if you are interested.